Did you ever, while looking to migrate to a new PC, back off at the last minute? One reason people don’t grow out of their fondness for older laptops is because of their comfort zones. The files and tailor-made installations evoke a sense of familiarity and ease many aren’t ready to part with. Transferring programs between PCs has been around since the era of floppy disks and CDs. While the offline methods haven’t entirely disappeared (and they cost you nothing), most of us are too busy for some manual lifting. Luckily, there are apps around to sift through all our messy legacy applications and load them into a brand new PC. Let’s have a look at a few of them. Zinstall Win Win is currently a market leader in Windows PC transfer solutions, working the entire Windows range from XP to Windows 10. This is an excellent fit if you are looking for a quick and easy transfer of your computer’s entire familiar environment. Although the software is user-friendly, it also comes at a steep price. 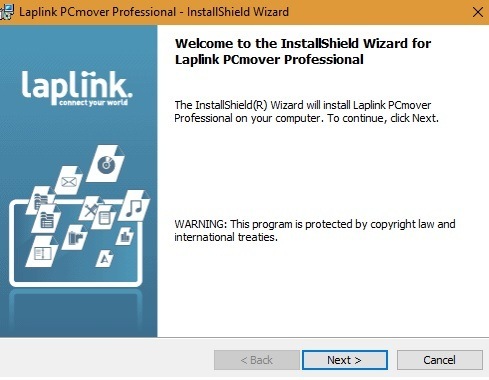 If you want to save money, PCmover Professional by Laplink does a good job with assisted migration. It is also Microsoft’s Recommended Migration Solution and comes with a 30-day money back guarantee. There are a few transfer limitations. For example, when you are migrating to a new OS. Also, the hardware drivers for a few printers may not get transferred smoothly. PCmover Express, a discount version of the total software, costs even less but has very limited applications in terms of product features. 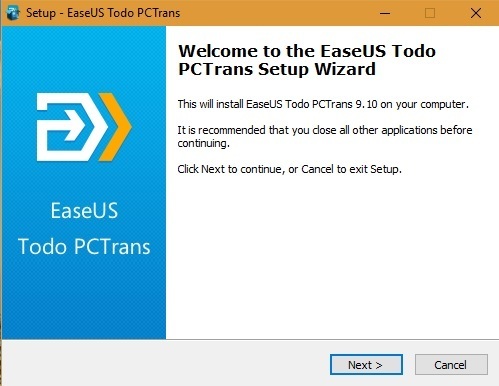 EaseUS Todo PCTrans Pro solution is another one-click PC transfer solution that will be discussed here. 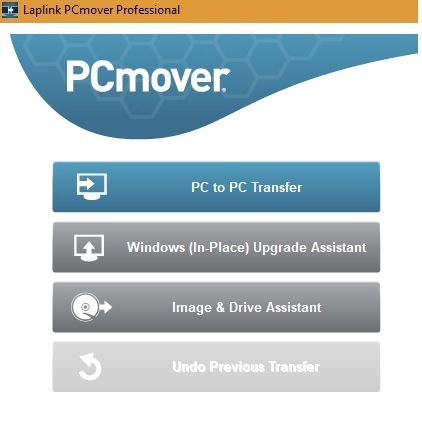 PCmover should be installed on both PCs and is valid for unlimited transfers after purchase. 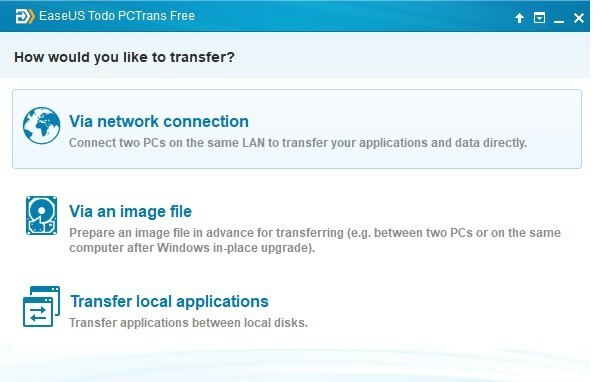 According to information on the welcome screen, you can’t transfer your programs from a new OS to an older one. The installation wizard also has to be deployed on both PCs and should be connected over the same LAN. In the following stage you get to select the mode of transfer for your files and applications. You might need the help of Windows Upgrade Assistant if migrating from a lower Microsoft OS. Once you select PC-to-PC transfer, you will have to confirm the older PC the programs will originate from. The software will automatically prompt you for a “new PC” at the Transfer stage. Before readying the transfer, you will have to choose the connection method. 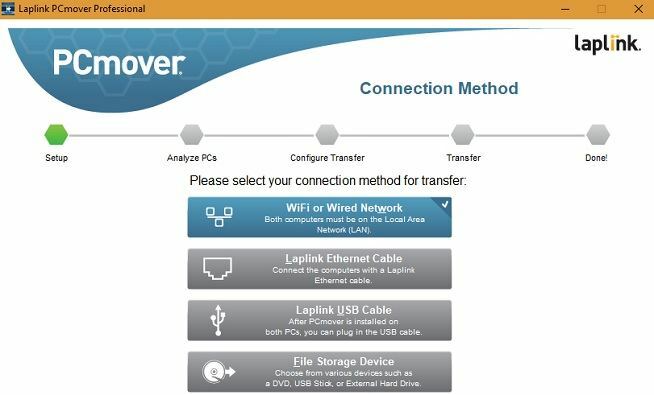 You can transfer offline using Laplink’s transfer cables or through file storage devices, such as CDs or USB sticks. In the following screenshot we selected Wi-Fi or wired LAN networks. PCmover begins analyzing the older PC for existing files and programs. Once done, it prompts you to configure the transfer. You may also opt for notification alerts over email and SMS. After you move to a new PC, the software has to be installed again. 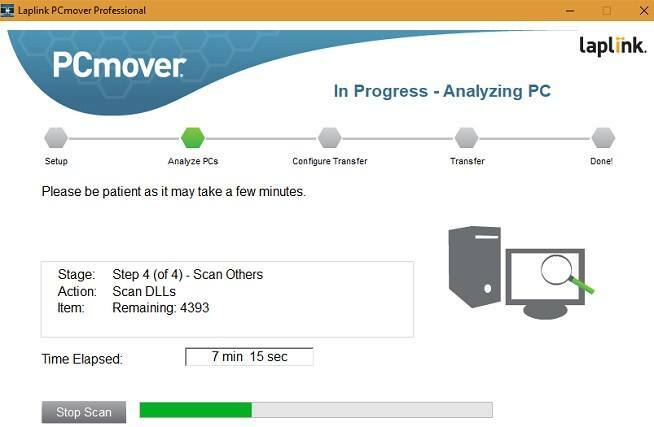 PCmover can detect the older computer over the same LAN and then proceed toward a total (or selective) transfer of applications. Depending on program size and Internet speeds, the entire transfer can be completed in anything from four to six hours. EaseUS Todo PCTrans Pro solution costs nearly the same as PCmover, and is available from the official website. The free version allows you to select only two applications. Everything from installation to transfer rates feels somewhat similar to the previous section. There is a minor difference though. 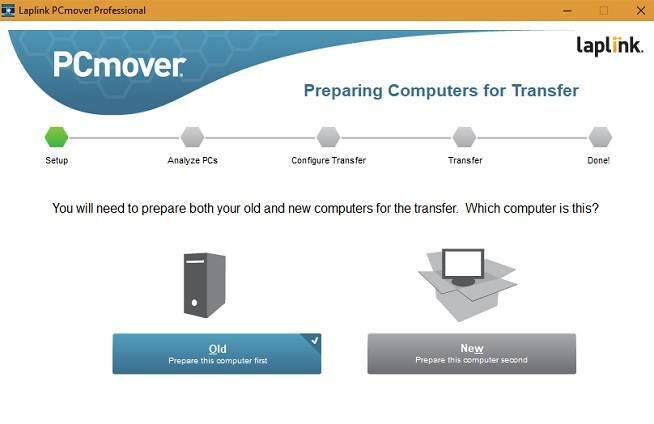 Unlike the step-by-step PCmover configurations for individual PCs, PCTrans should be allowed to run on both computers simultaneously. There are significantly less steps involved. If, for some reason, PCTrans fails to detect the older computer, use a “+” prefix with the IP address. Once it’s detected correctly, simply press “Connect” and sit back until the transfer is complete. Whichever transfer solution you use, it is recommended to go for a professional edition rather than basic/free ones. The enterprise editions which serve multiple users, and computers will prove more economical for small and medium-sized businesses. Do you have an experience with a specific PC-to-PC transfer solution? Let us know in the comments.